Sasikala, close aide of former Tamil Nadu Chief Minister, the late Jayalalithaa, has been lodged at the Bengaluru prison ever since her conviction by the Supreme Court in February 2017 in the disproportionate assets case. 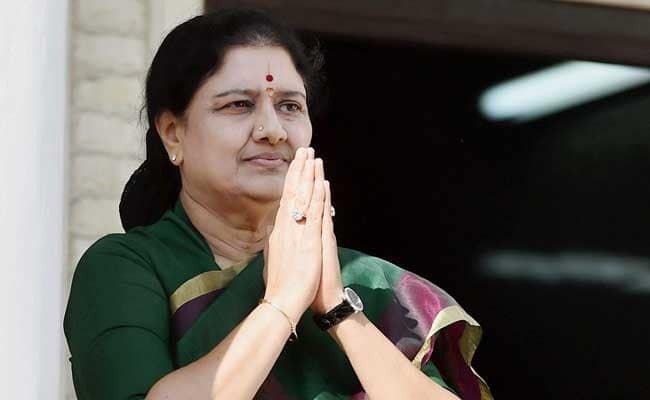 Refuting allegations that "special treatment" was accorded to her in the Parappana Agrahara central prison at Bengaluru, an advocate representing ousted AIADMK leader VK Sasikala on Monday said no prison rules were violated. "Sasikala has not violated any rules of the Karnataka prisons manual anytime. She is wearing personal clothes as per the prison rules. The allegations are all wrong," Advocate A Ashokan told PTI. According to RTI activist Narasimha Murthy, a 295-page report by retired IAS officer Vinay Kumar confirmed then DIG (Prisons) D Roopa's claims in July 2017 that Sasikala was given preferential treatment and a separate kitchen functioned for her at the Parappana Agrahara Central Jail. "I have accessed the 295 pages report through an RTI query. The report confirms that Sasikala was given special treatment in the jail," Mr Murthy had said on Sunday. The reply was furnished by M R Shobha, Public Relations Officer of the Home Department. Legal action would be taken after a copy of the report was issued to them, the advocate said. Asked if he disregarded the RTI revelations, Mr Ashokan said he cannot comment on it until the original report was out. Based on the then DIG (Prisons) D Roopa's claims in July 2017 that Sasikala was given preferential treatment, the then Siddaramaiah government had ordered an inquiry by Vinay Kumar to probe the allegations. Mr Kumar had submitted his report to the government on November 17, 2017, but its contents were not made public. Sasikala, close aide of former Tamil Nadu Chief Minister, the late Jayalalithaa, has been lodged at the Bengaluru prison ever since her conviction by the Supreme Court in February 2017 in the disproportionate assets case along with her two relatives VN Sudhakaran and Elavarasi, all serving a 4-year jail term.